I shared the latest Marks and Spencer’s Christmas advert yesterday, but did you know that you, too, can dress like Mrs. Claus from the advert? I really love this concept. You can buy her dress, her jacket, her sweater or you can buy the teenage sister’s shoes! It’s the ultimate sell. Why can’t all ads be like this? Now that is what I call a window display! 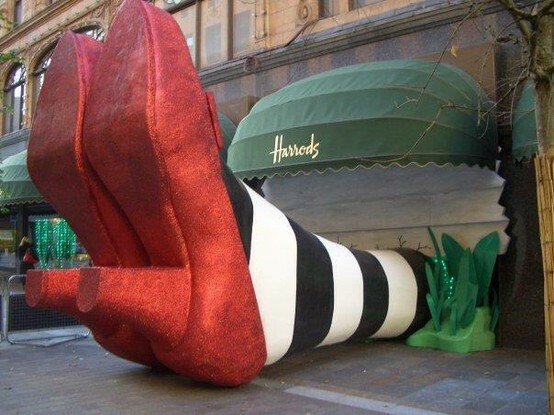 Nice one, Harrods! It is called “The Journey” and follows one snowman’s quest for the perfect gift for a loved one. Again, whimsical, sweet and like no department store commercial we have in the U.S.